I love sequins. Don't get me wrong — fall fashion is my favorite, but in the winter I get really jazzed up about holiday sparkles. 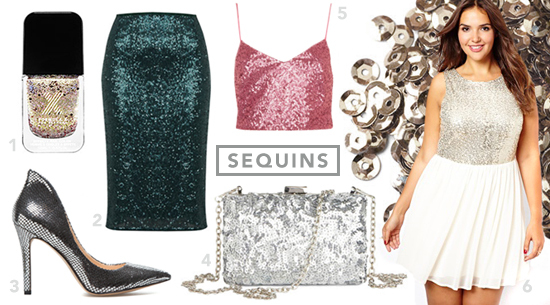 These are a few of my favorite sequin separates and accessories from around the web to help you ring in the new year.